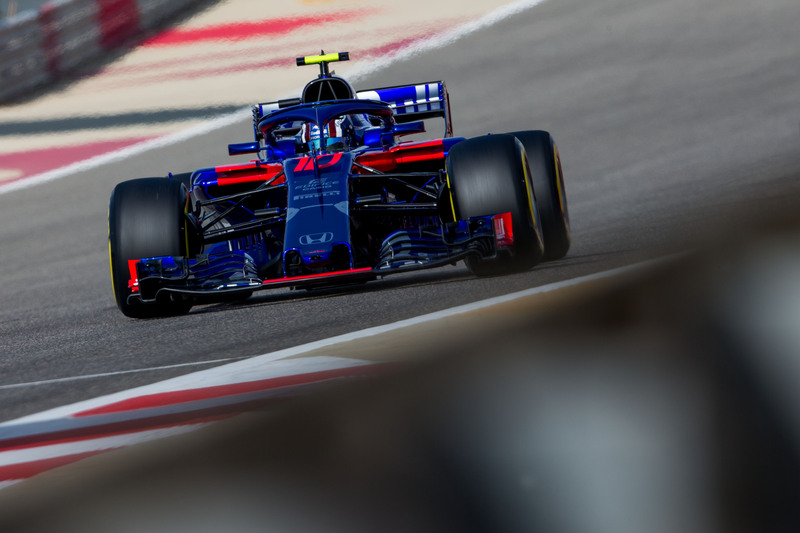 For a team which was expected to be little more than an on-track laboratory for Honda in 2018, a stunning fourth-place finish in the Bahrain Grand Prix has restated Toro Rosso's importance as a proving ground for Red Bull Racing—both for the engines in the back of its cars, and the young hotshot behind the wheel of one of them: Pierre Gasly. Part of Toro Rosso snapping-up the Honda supply deal vacated by McLaren at the end of 2017 was to provide Red Bull Racing with engine options from 2019 onward with the team enduring a strained relationship with its supplier Renault. The Honda V-6 was by far the worst engine in Formula 1 in 2017 (and 2016 and 2015, for that matter), but seems markedly improved this year. 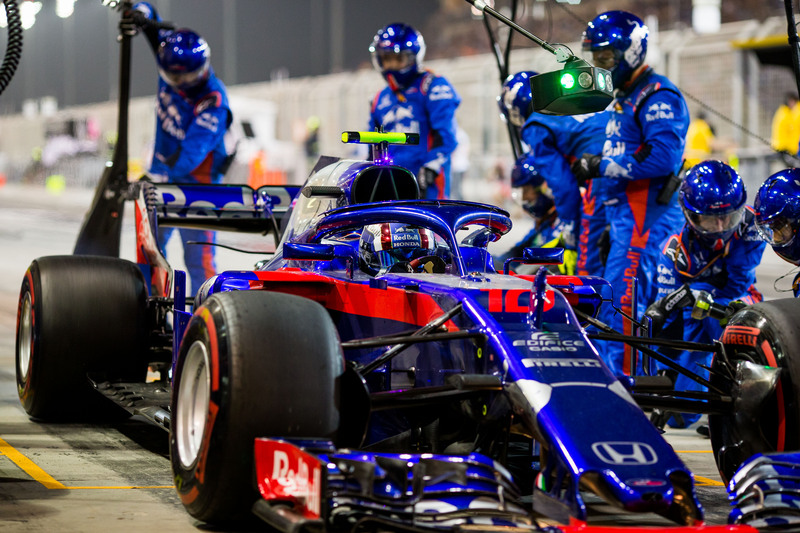 Toro Rosso enjoyed a troublefree time in winter testing, and although it did suffer engine issues during an uncompetitive outing in the season-opener in Australia, its Bahrain performance was impressive thanks to a combination of chassis and engine updates. Question marks remain over Honda's handle on reliability, but Red Bull Racing chiefs Christian Horner and Helmut Marko have said to keep a keen eye on its development. An update rumored to be worth 25-30 brake horsepower is scheduled for June's Canadian Grand Prix, according to the BBC, which is sure to interest Red Bull Racing as it squabbles with Renault over a deadline for a decision on its engine future. 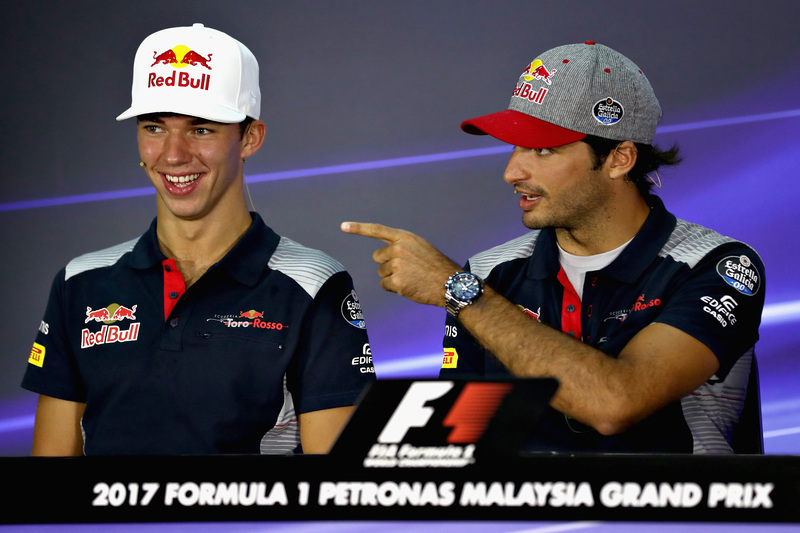 And then there's Gasly. Following Max Verstappen's early 2016 promotion from Toro Rosso to Red Bull Racing to partner with Daniel Ricciardo, himself brought up by Toro Rosso, Red Bull Racing looked set for years to come—and Toro Rosso's role as a training ground for young drivers looked ironically bleak. Ricciardo is out of contract at the end of 2018, however, and increasingly linked to rivals Mercedes and Ferrari. 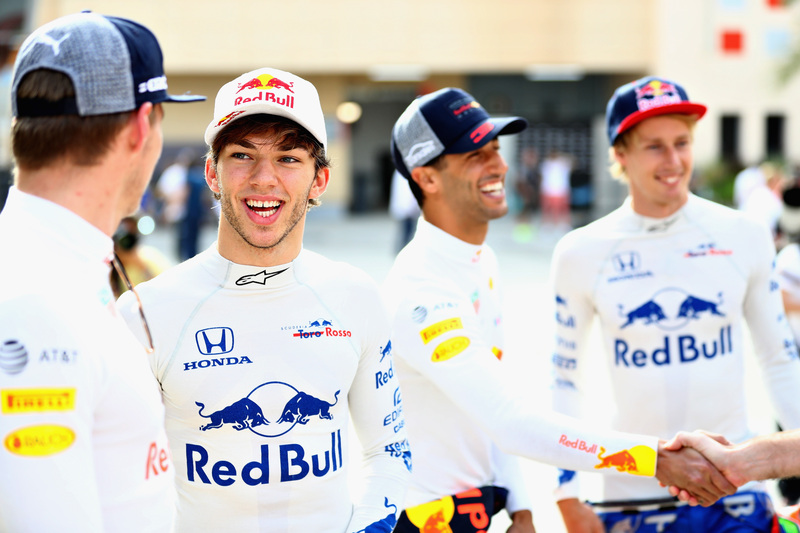 Although Carlos Sainz, a Red Bull junior 'on loan' at Renault, has been named the most logical alternative should Ricciardo depart, Gasly could put himself in the frame if he keeps performing as he did in Bahrain. The Frenchman's speed has never been in doubt, but his maturity and consistency have. Gasly's flawless performance will have been just the kind of drive required to prove to Red Bull Racing he can bring the results home when the chance is there, however, and Marko perhaps tellingly told ESPN it "made a man out of him [Gasly]". After Toro Rosso's purpose looked unsure a few years ago, it seems the small Faenza-based Scuderia once again plays an important role as Red Bull's Formula 1 finishing school in more ways than one. After swapping tire strategies mid-race, Vettel drove to the win in Bahrain on what may as well have been slippers on ice. Toro Rosso and Honda, carefully, get off to an auspicious start. The Red Bull sister team has been a steady criticizer of McLaren for dropping Honda's engine supply this season. Daniel Ricciardo is expected to open talks with Red Bull Racing as he ponders 'make or break' decision on Formula 1 future.